Scandinavia is a historical and cultural-linguistic region, it comprises the three kingdoms of Norway, and Sweden, on the Scandinavian Peninsula, and Denmark, the country situated on the Jutland peninsula and its main islands of Sealand and Funen north of Germany, west of Sweden, between the North Sea and the Baltic Sea. 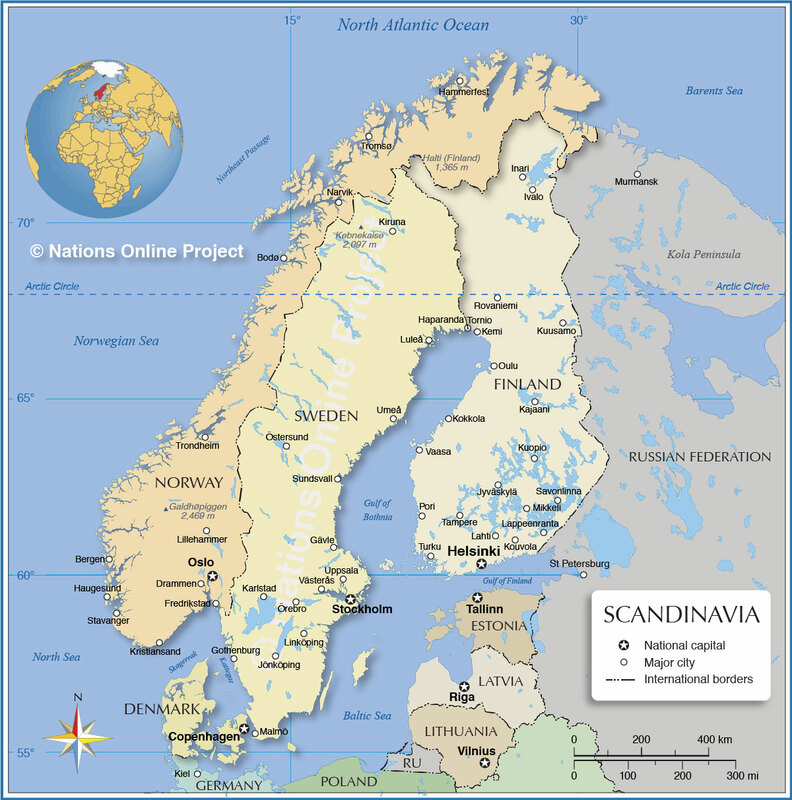 The term Scandinavia referred originally to Scania (Skåne), a region formerly Danish, now Swedish. In a broader sense the name Scandinavia is also used to refer to the Nordic countries including Finland and the island nation of Iceland as well. With an area of 928,057 km² Scandinavia is roughly three times the size of Italy, or slightly more than twice the size of the U.S. state of California. Depicted on the map is Scandinavia with countries, international borders, and major cities.